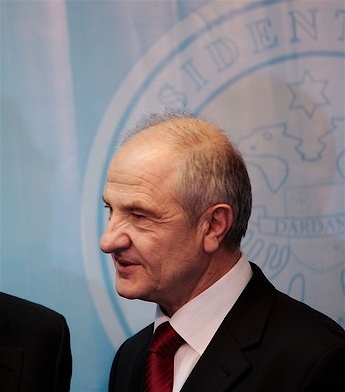 Fatimir Sejdiu, president of newly independent Kosovo. Its sovereignty has been recognized by the US, Great Britain, Germany, France, Italy, Denmark, and other countries — but not Serbia or Russia. When Kosovo proclaimed its independence of Serbia two weeks ago (Feb. 17, 2008), news of the momentous occasion — and of rioting and an attack on the US embassy in Belgrade — was of more than passing interest to me. 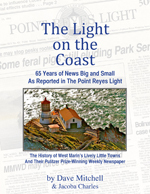 Unlikely as it sounds, while the Kosovo War was underway in 1999, the little Point Reyes Light, which I then owned, chanced to have a correspondent in Kosovar refugee camps. Equally unexpected, an 17-year-old refugee girl gave our correspondent, Adrienne Baumann, her personal journal. In horrifying detail, the journal of Albana Berisha from Pristina describes being caught in Serbia’s attempt to cleanse Kosovo of its ethnically Albanian majority. The journal goes on to record her family’s long and harrowing flight through the mountains to safety in the neighboring country of Albania. Adrienne, a former Light reporter from a Chileno Valley family, had been working in Italy when the war broke out, and she volunteered to do relief work at miserable refugee camps in Albania. The Light printed her account and posted it online, along with Albana’s, prompting a flurry of angry emails to the paper from people in Serbia. Light editor Tess Elliott has now told me she’s going to publish a recap of what was reported by the teenage Kosovar, Albana, as well as by West Marin’s witness to the war’s casualties, Adrienne. It’s bound to be a moving account. Most Kosovars, like most Albanians, are Muslim, but culturally they are European rather than Middle Eastern. Most Serbs are Serbian Orthodox. A major reason why Serbs have long resisted Kosovar independence is that a number of their church’s hallowed places are in Kosovo. In 1990, Serbian President Slobodan Milosevic revoked the autonomy of the provinces of Vojvodina and Kosovo, which resulted in an uprising that lasted from 1996 to 1999, pitting Serbian forces against guerrillas of the Kosovo Liberation Army. Supporting the KLA were a nowadays-unlikely pair of collaborators: Islamic mujahideen and NATO. Initially, there were atrocities by both sides, and while the Serbian government claimed it was merely fighting “terrorists,” the UN reported that Serbs had driven 850,000 of Kosovo’s two million inhabitants from their homes. As you’ll recall, in March 1999, NATO forces led by the US intervened with a seven-week bombing campaign, stopped the ethnic cleansing, and turned Kosovo over to international peacekeepers. Those peacekeepers have been there ever since. For the most part, Kosovo has been relatively calm since the war ended, and perhaps that very calmness is what led to one of the more-bizarre diplomatic rows of recent times. Among the international peacekeepers were members of the Norwegian Army Telemark battalion, and they found themselves stuck killing time, perhaps making them cynical about their role in Kosovo. As it happened, back when NATO had intervened in 1999, a radio talk-show host in Seattle, Bob Rivers of KZOK, was unhappy with the US role as international policeman, especially because of its inconsistencies. So Rivers took the music from the Beach Boys’ 1988 hit Kokomo, wrote new lyrics, and rerecorded the song as a political satire called Kosovo. The parody caused much laughter in Seattle but after a year was mostly forgotten. 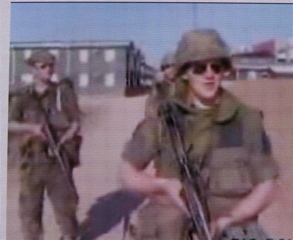 In 2002, however, some Norwegian peacekeepers happened upon the parody. 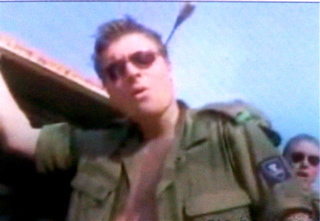 Seeing that the lyrics were apt for their own situation, the Norwegians (above) using a hand-held camera filmed themselves lip-synching to the song. In 2005, three years after the clip was filmed, it ended up on the website You Tube; Serbian television quickly found and aired it; television stations throughout the Balkans then rebroadcast the clip; and all hell broke loose. 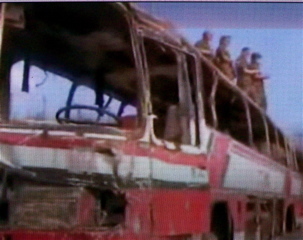 Furious, the Serbian government claimed the clip proved what Serbia had been saying, that the peacekeepers were hostile to the country. Surprisingly, the Serbs also complained about the indecency of the soldiers sometimes being shown bare-chested. Norway’s ambassador to Serbia immediately apologized, saying, “I really hope this incident will not disturb the lasting and deep friendly relations between our countries.” Luckily for them, the Norwegian peacekeepers had by then completed their tour of duty and were no longer in the military, so they were not disciplined. Here’s a link to the video. I should warn you, however, that while the bulk of the video is humorous, its ending is grim although not gory. 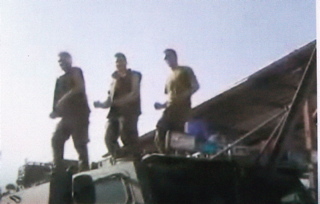 The song ends: “Somalia, Grenada,/ Or rescuing Kuwait-a/ We screwed you, Rwanda/ Wish we coulda helped ya/ Iraqi embargo/ How it ends we don’t know…” At this point, the soldier singing gets hit by a truck for the final irony. There once was a country called Yugoslavia. At the end of World War I while the victors were dismantling the old Austro-Hungarian Empire, they created Yugoslavia by cramming more than 20 ethnic groups into one ungainly nation rife with internal rivalries. The onetime Yugoslav republics of Croatia and Slovenia declared their independence in 1991, Bosnia a year later. Macedonia declared its independence in 1991, but the UN didn’t recognize it as a sovereign nation until 1993. Montenegro declared its independence in 2006. Kosovo two weeks ago became the sixth region to secede, leaving Serbia as the only region still wearing the mantle of the old Republic of Yugoslavia. I thank you a lot and appreciate this article. I would also like to send my warm regards to Adrienne B. who published my diary and wrote my story at those difficult times. Sparsely Sage and Timely is powered by	WordPress 4.9.10 and delivered to you in 0.483 seconds using 52 queries.